We all slept extremely well in our hotel room. The beds weren’t like some of the more fluffy, ultra-soft, sleeping in a cloud beds that we may have had in other hotels, but they were comfortable and we were all exhausted. Hilton Express also offers free breakfast and for a bare bones hotel, they are not bad. This hotel had an automatic pancake maker, like something I would see on a Jetson’s cartoon, or a PeeWee Herman film. 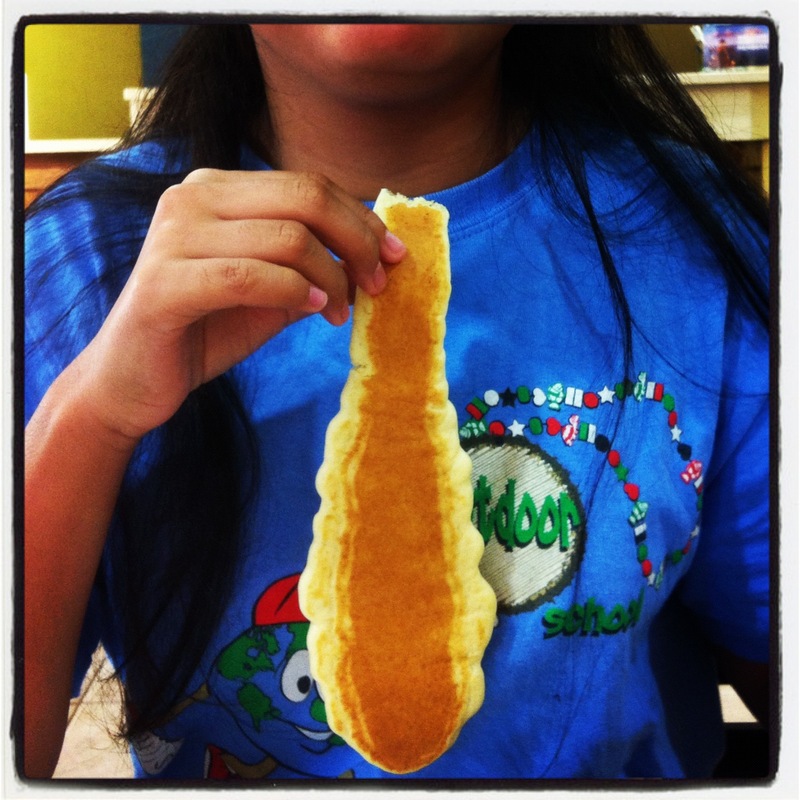 The kids were in awe and wanted one for the house, until they realized how long it took for one pancake to emerge. Then it started breaking down which caused great merriment amongst the family. We left our hotel to continue our trek to Wisconsin, with a quick side trip to the St. Louis Arch. My daughter is a huge fan of the Percy Jackson series of books written by Rick Riordan. The first book, The Lightning Thief, has the main character off on a series of adventures based off of Greek mythology. Trying to not give away too many spoilers here, one of his first stops is the St. Louis Arch where he meets up with Echidna. Not to be confused with Enchinada who, according to my son, is the god of spiciness and cheese. 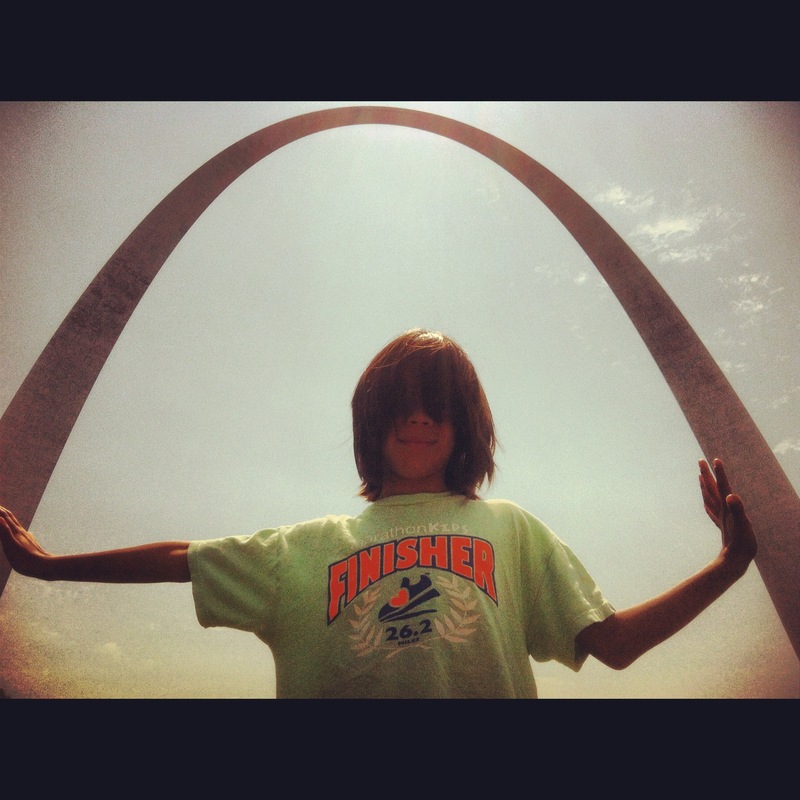 Hey, this arch isn’t so big, or My Son the Giant. It was a long, long drive, but we finally made it to Wisconsin. My husband drove the entire time because on long trips I get car-induced narcolepsy and my head will drop without notice. Thankfully I’m not a big drooler. The kids began the day fighting so as punishment we took away all their movies and games to show them how we had to travel as kids. They pouted, the oldest cried at losing her DS, but the interesting thing was that after a few minutes they were giggling and chatting. We kept the games and movies off for a couple hours and talked and laughed. We did give them back when it was time for the little one’s nap but it was food for thought. This morning they are splashing in the pool while I’m writing the post for yesterday and thoroughly enjoying themselves with their cousins. It is so beautiful and green, perfect except for the fear that a couple of these mosquitoes might carry off the four year old. 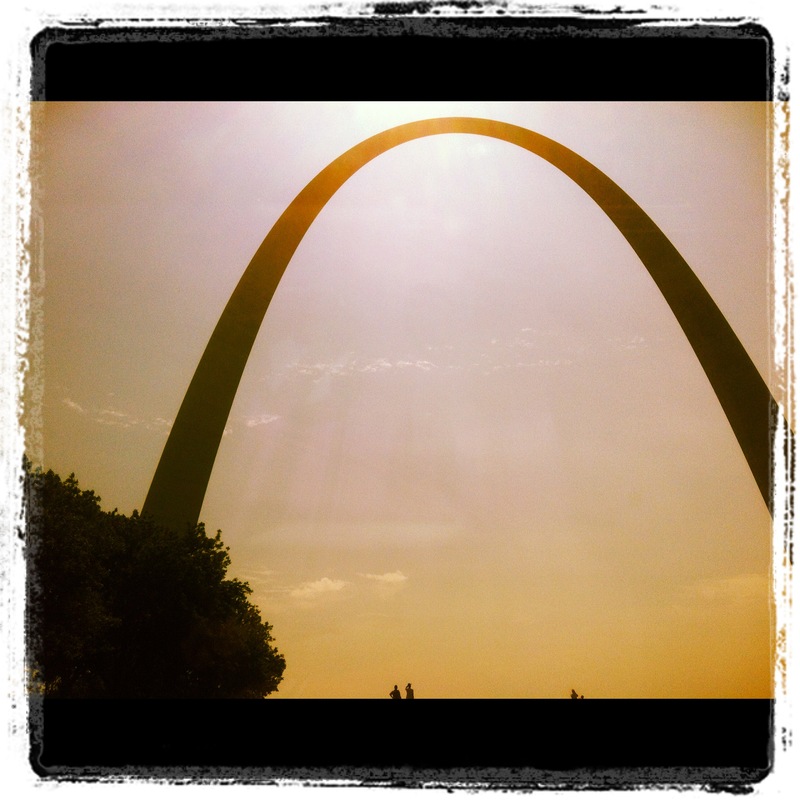 This entry was posted in Instagram, Parenting, Project 366 and tagged arch, gateway arch, hotel, Instagram, kids, mosquitoes, pancake, percy jackson, project 366, rick riordan, st louis, st louis arch, travel, Vacation, wisconsin. Bookmark the permalink.